With Spring just around the corner, I wanted to share some new Real Estate listings that have hit the market in Pinetop and Lakeside. These properties were just recently listed 2018 and are priced to sell quickly as demand increases into the Summer months. 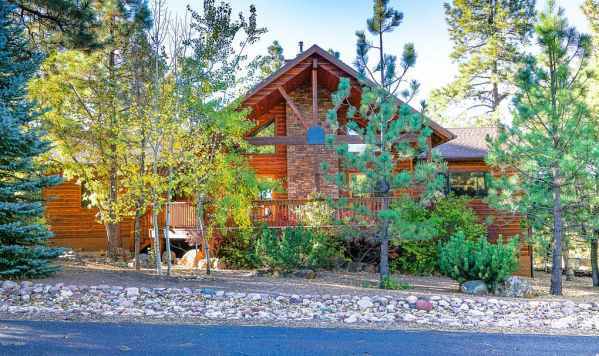 Some of the higher end Real Estate listings can be found inside the Pinetop Country Club and Pinetop Lakes, which are both Golf Communities in the tall Pine Trees. Here are some favorites that I picked out that are currently active on the market right now in Pintop. These Real Estate listings are 3 bedroom & 2 bathroom, currently priced between $250k – $450k. Take a peek and let me know if you see something that might look interesting to you.